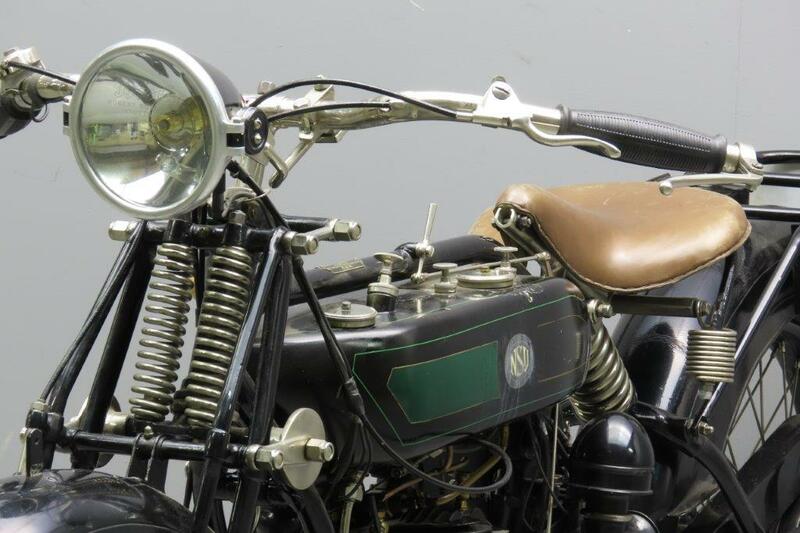 The company started as a knitting machine manufacturer ( Neckarsulmer Strickmaschinen Union) and went into the bicycle trade in 1886. 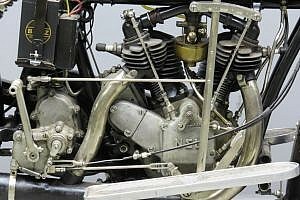 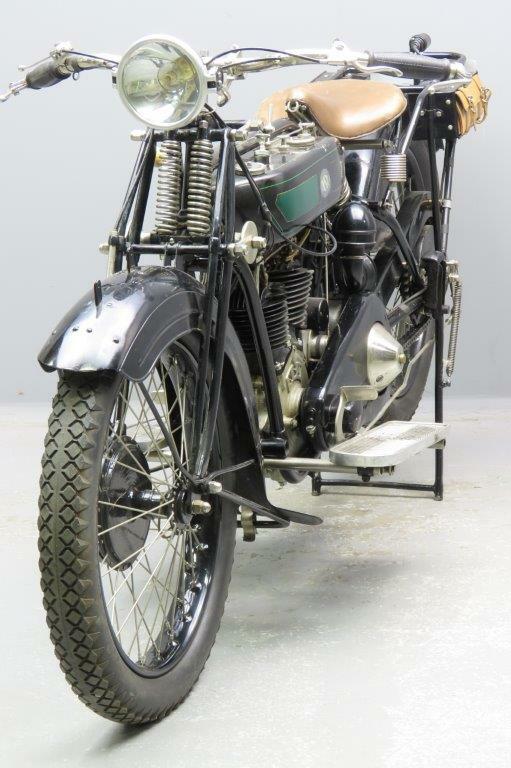 It was a logic step to move into motorcycle production and in 1901 the first motorised NSU bicycle with Zédel clip-on engine was produced. 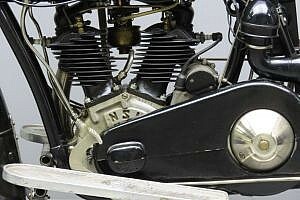 Soon the development and production of the company’s own engines were taken up and the firm became one of the biggest motorcycle firms in Germany. 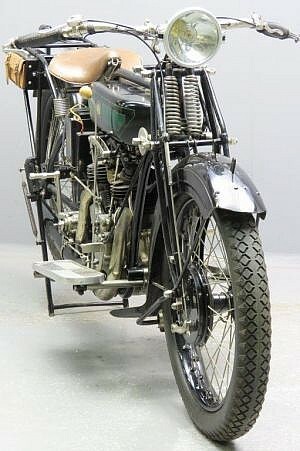 In the twenties the pre-war line of machines was further developed. The model “502 Touren” was brought out in 1924 and ran through 1927. 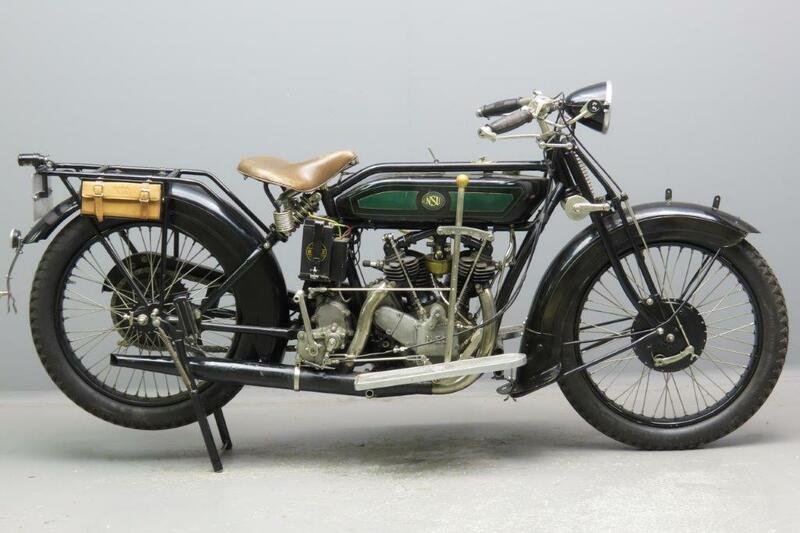 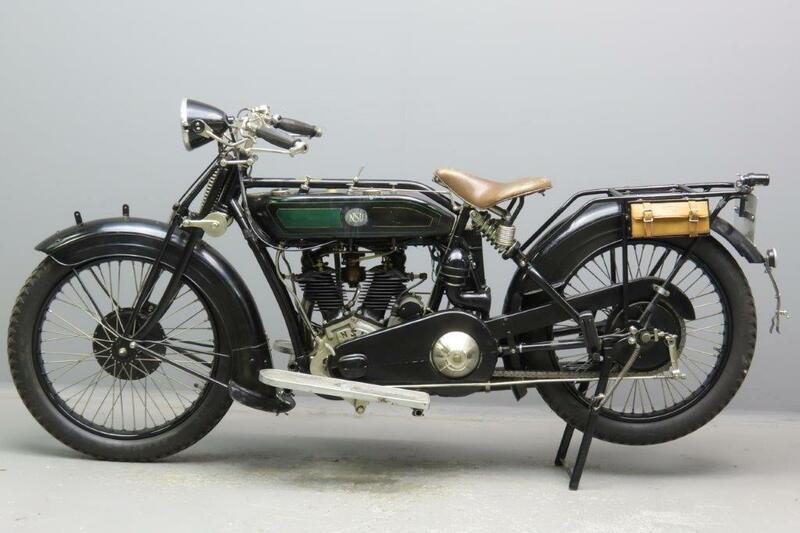 It’s a rare model since only 346 units were sold; Germany suffered from hyper-inflation in the mid-twenties and the cheaper 248 cc 251 R was the popular choice, finding more than 23,000 customers between 1924 and 1928. The factory claimed a power output of 11 HP for the 63 x 80 bore x stroke 502T engine and a total weight of 140 kg. Ignition and lighting are taken care of by a reliable Bosch magdyno and an original electric Bosch horn is fitted. 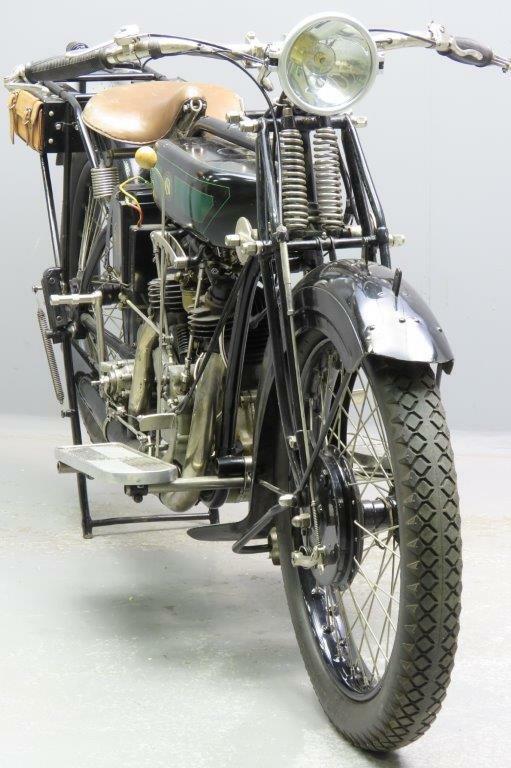 The machine has a three speed gearbox, foot and hand controlled clutch, rear sprung frame and internal expanding brakes. 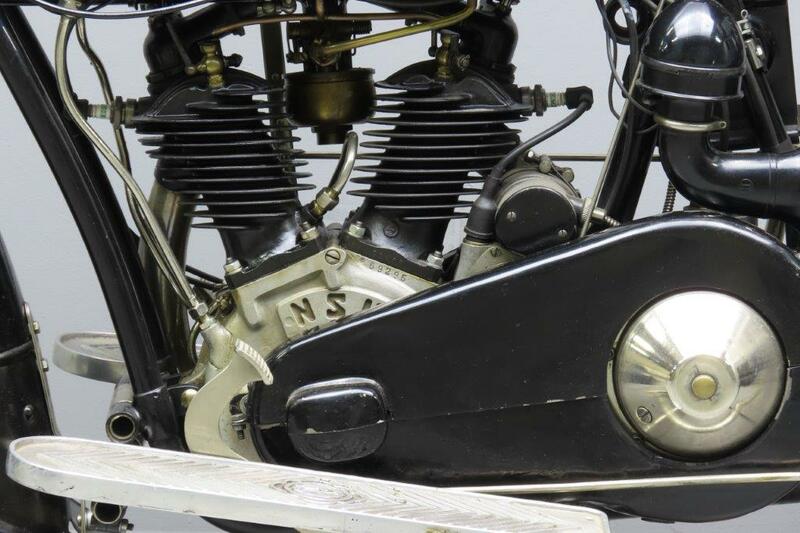 This sturdy twin has been partially cosmetically refurbished only where necessary and still wears a lot of its original paint.